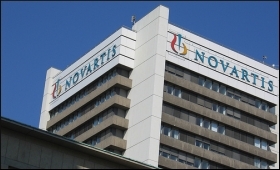 Pharmaceutical major Novartis India on Wednesday said its Vice Chairman and Managing Director Milan Paleja will step down from the post on May 31, 2019. The company said in a regulatory filing to the BSE that Paleja has decided to relinquish current standing in the company "for embracing challenges outside of Novartis". "The Board requested the Nomination and Remuneration Committee to identify and recommend a suitable successor for the role of Managing Director of the company," it said. Shares of Novartis India on Wednesday settled at Rs 741.65 apiece on the BSE, higher Rs 51.10 or 7.40 per cent from the previous close.